The Electric Propulsion Innovation & Competitiveness (EPIC) project, Grant Agreement n° 640199, has been selected by the European Commission to carry out the Programme Support Activity (PSA) for the Horizon 2020 Electric Propulsion Strategic Research Cluster (SRC) “In-Space electrical propulsion and station keeping”. EPIC consortium is led by ESA and composed of six national space agencies (ASI, BELSPO, CDTI, CNES, DLR, UKSA), and two European associations, Eurospace and SME4Space. EPIC aims among others, provide a clear integrated roadmap of activities and a master plan for its coordination and implementation through the Horizon 2020 SRC on Electric Propulsion (EP), but also and no less important, to organize educational events, trainings and lecture series on electric propulsion matters in coordination with ESA and National Agencies educational programmes and resources. The preparation and promotion of education events and material related to space and Electric Propulsion especially aimed at promoting the interest in science, technology, engineering and mathematics in bachelor and master students. 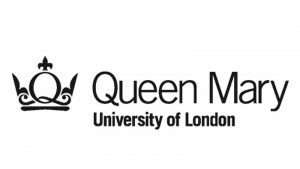 After successful outreach event in Madrid in 2017, the EPIC Lecture Series moved to London for its second edition, and took place at Queen Mary University London on Thursday 18th and Friday 19th October. The programme for the 2018 EPIC Lecture Series is available to view online, right here at the EPIC website. The EPIC Lecture Series 2018 was held on 18-19 October 2018 in London – United Kingdom. The event took place in the Engineering and Computer Science Faculty of Queen Mary University London, Mile End Road, London, E1 4NS. There were signs displayed at the event to the Octagon Hall, where the event was organized by EPIC and Queen Mary University London (QMUL). The event is specially curated and designed to attract and assist university students (bachelor and master) studying the sciences and engineering disciplines relating to space. If you are interested in learning about Electric Propulsion, from the basic technology and concepts to the latest developments, then the EPIC Lecture Series is a unique opportunity to build your basic understanding of the topic as well as meet some of the most renowned experts from European industry and universities on this growing topic. EPIC Lecture Series covers different subjects such as: basic electric propulsion technologies, electric propulsion subsystem elements, current technological challenges, relevant physic-chemical models, computational methods for engineering prediction, experimental facilities and measurement techniques and past, ongoing and future missions using electric propulsion. The EPIC Lecture Series is designed to satisfy the educational and outreach ambitions of the EPIC project to improve the innovative competitiveness of the European Electric Propulsion sector for satellites and spacecraft. As such, the EPIC Lecture Series is curated and structured to attract undergraduate and postgraduate students of sciences and engineering with particular emphasis on space. Students of Space Engineering courses are highly encouraged to attend, and students of the wider sciences such as physics and chemistry who have an interest in space would also find the lectures a highly interesting introduction to the realm of electric propulsion. What’s more, students also had be able to hear from Alan Bond, formerly of Reaction Engines and one of the godfathers of space propulsion technologies in the UK, whose work over 30 years has formed the foundation of much of the current developments in propulsion and access to space technology. As this EPIC Lecture Series is an educational event, registration was not required of attendees, and those wishing to attend may simply turn up on the day. Presentations of the lecture series will be available on this website after the event.